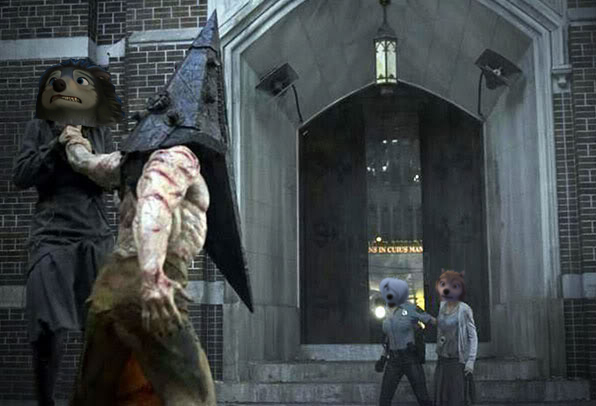 Kate and Lilly Meet Pyramid Head. . Wallpaper and background images in the Alpha and Omega club. This Alpha and Omega fan art contains straat, stad scène, stedelijke omgeving, stad straatbeeld, and stedelijke instellen. There might also be abattoir, butchery, shambles, and slaughterhouse.